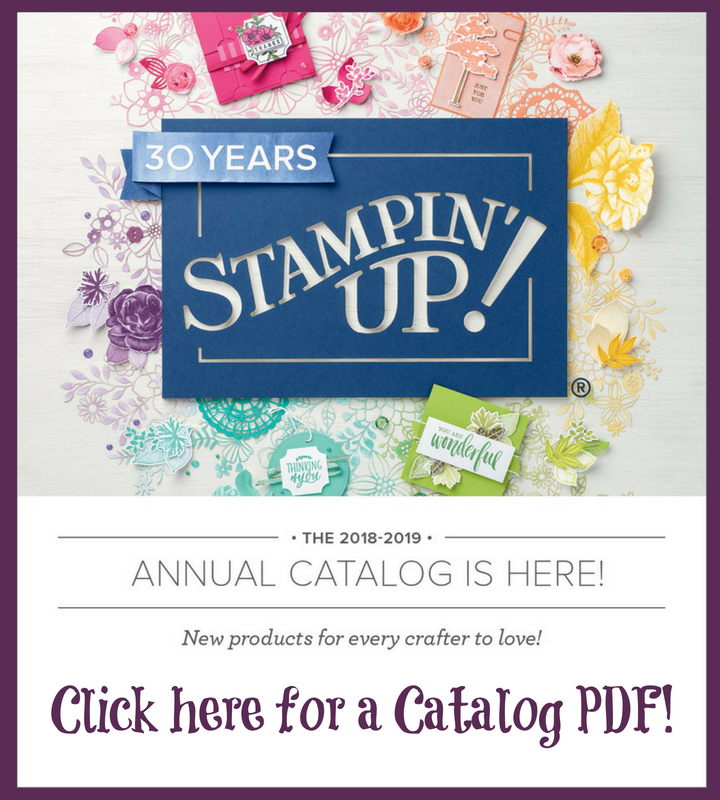 I love the creativity of stamping and I love getting My Paper Pumpkin every month. Each one has been a special surprise. This month's kit is named Bunny Buddies and is very cute. I have to share my creative alternative to the kit directions. Those ears caught my heart and I HAD to use them like this! I hope you like it. 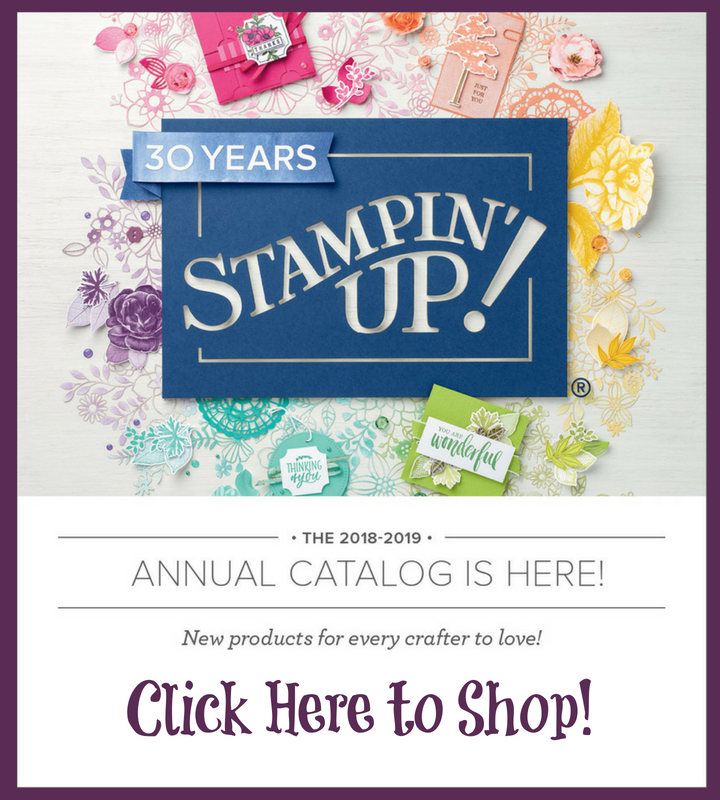 We will be making it at our next Stampin' Celebrations Class. I just love those ears. I stamped them in Archival Basic Gray and then used my Aquapainter and Basic Gray along with Blushing Bride. 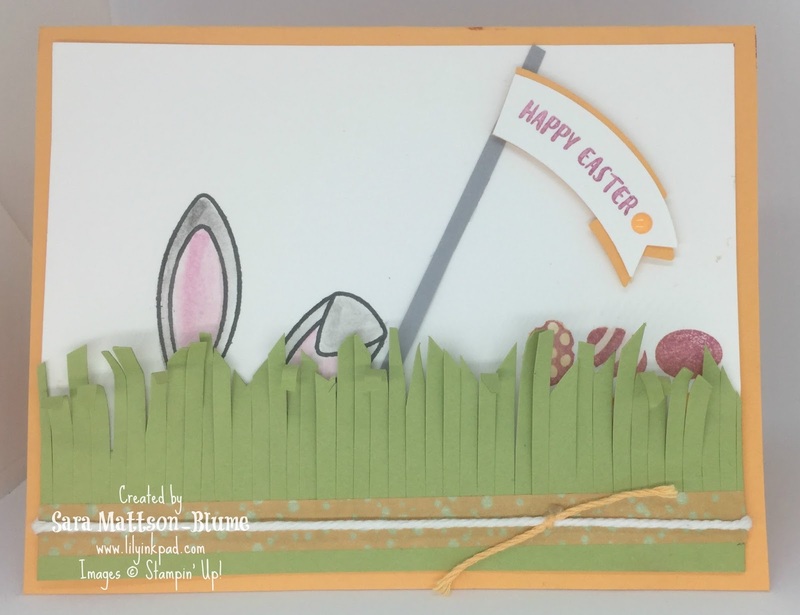 I stamped the eggs and the sentiment in Sweet Sugarplum. 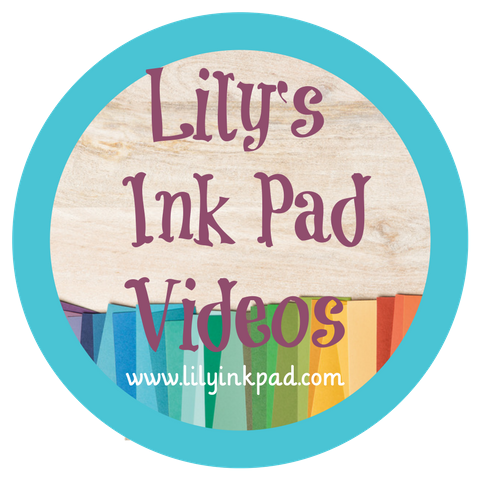 The Washi Tape is from the Playful Palette suite and the banner is from the the Duet Banner Punch. I just trimmed off the end. 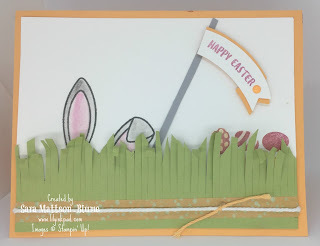 Check out that grass1 I used my Fringe Scissors to cut a 2" strip of cardstock and then used my bone folder to curl the grass. Next, I use my paper snips to cut jagged edges. I will be posting more alternatives as I've spent a week playing with this set and kit. Be ready to see more this week! 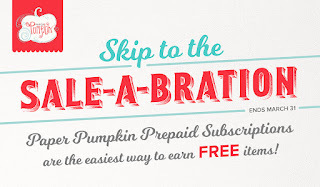 This is the last week you can buy My Paper Pumpkin 3 month subscription and earn a Sale-a-bration item!